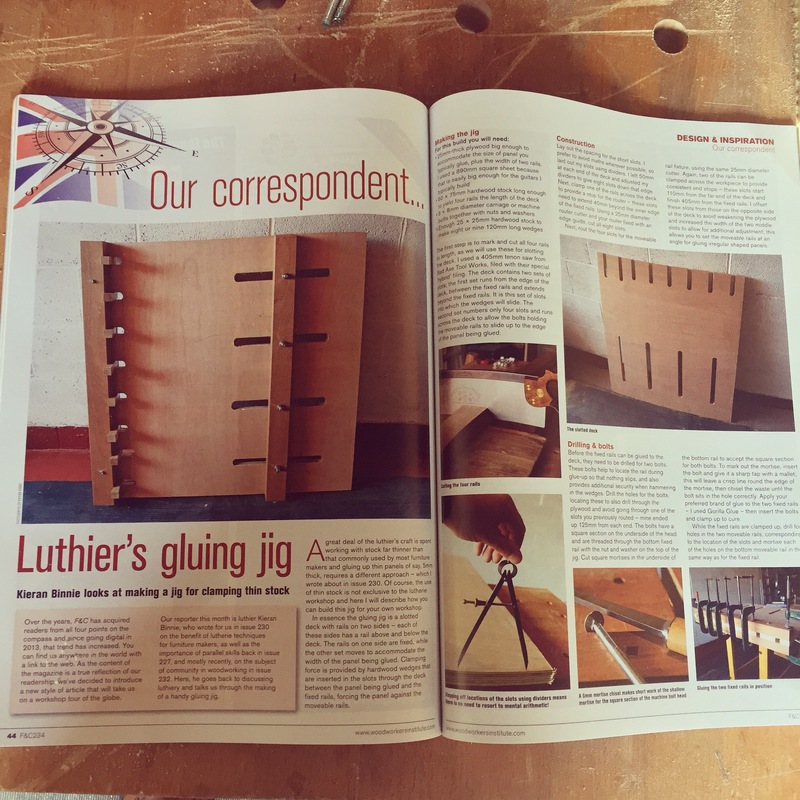 Issue 234 of Furniture & Cabinetmaking is now in print, and if you were to turn to page 44 you would find my latest three page article on building a jig for gluing up thin panels. This is one of the most useful jigs in my workshop as I use it to glue up soundboards, acoustic guitar backs, book-matched headstock veneers, and any other stock too thin to put in conventional cramps. Issue 234 is an embarrassment of riches, with articles from Anne Briggs, a feature on how to build a Roubo workbench, and Mark Harrell’s excellent on-going saw doctor series on tuning up a backsaw. This entry was posted in Furniture & Cabinetmaking, Lutherie by overthewireless. Bookmark the permalink.